2M has an innovative, practical, safe and environmentally conscious method of getting from point ‘A’ to point ‘B’. 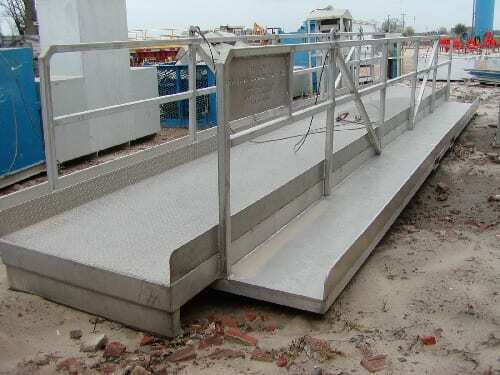 Our product is light weight, yet strong, aluminum construction with diamond plated walking surface and pollution containment curbing built in. 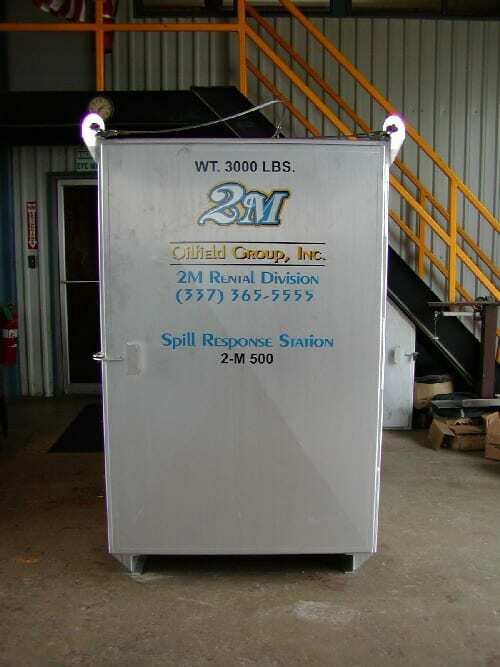 Our unit is 4′ Wide X 30′ Long and is equipped with two, 2-leg certified and tagged slings. So, whether your application is for inland barge work, jackups, coiled tubing jobs, construction, P & A, wireline or whatever your requirements might be, this product is for you! The fate of our environment, and the safety of employees, is dependent on each of us. 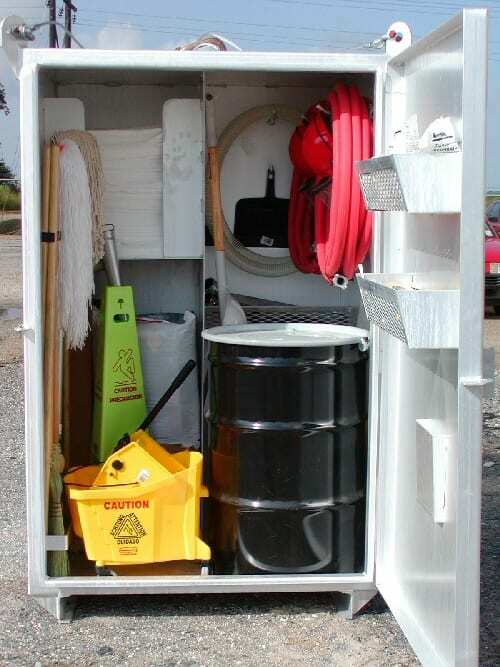 The response locker is 4′ Wide X 4′ Deep X 6′ High. Constructed of marine grade aluminum and is equipped with a 4-leg certified and tagged sling. Our station comes complete with what are considered standard necessities. Give us a call and we will gladly provide our inventory list. In the interest of working closely with our customers we remain flexible to provide differing products and/or quantities based on your specific application needs.